Itty Bitty Buggy received the Red Dot Award, which the renowned jury only awards to products that feature an outstanding design. WESTLAKE VILLAGE, CA, UNITED STATES, April 2, 2019 /EINPresswire.com/ -- Microduino, Inc. is proud to announce that Itty Bitty Buggy is the winner of the coveted Red Dot Award for Product Design, 2019. Itty Bitty Buggy is truly a STEM/STEAM toy. It’s smart, fun to play, easy to use and programmable with Scratch via a PC/Mac and Chromebook. Kids come to understand the power that coding has on a physical device by modifying the programs; a great beginners STEAM toy for younger kids. Buggy is colorful, fun and can be made into a sloth, dodo bird, ladybug and alien. Design quality is the common factor for award-winning products. “I would like to congratulate the laureates sincerely on their wonderful success. The fact that their products were able to satisfy the strict criteria of the jury bears testimony to their award-winning design quality. The laureates are thus setting key trends in the design industry and are showing where future directions may lead,” said Professor Dr. Peter Zec, founder and CEO of Red Dot, in reference to the winners. 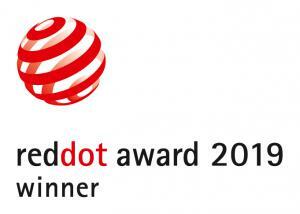 The Red Dot Award for Product Design is one of the world’s largest design competitions. In 2019, designers and manufacturers from 55 countries entered more than 5,500 products in the competition. The international jury comprises experienced experts from different disciplines and has been convening for more than 60 years in order to select the year’s best designs. During an adjudication process that spans several days, they try out the products, discuss them and ultimately reach a well-founded decision regarding the design quality of the entries. True to the motto “In search of good design and innovation," their assessment focuses on criteria such as the level of innovation, functionality, formal quality, longevity and ergonomics. On July 8, 2019, Microduino, Inc. will celebrate its success during the award ceremony. The international design scene will gather in Essen’s Aalto-Theater as part of the Red Dot Gala. At the subsequent Designers’ Night party, the Red Dot laureates will receive their certificates and Itty Bitty Buggy will join the exhibition “Design on Stage” in the Red Dot Design Museum Essen, which presents all of the award-winning products. From that date, Itty Bitty Buggy will also be on show in the Red Dot Design Yearbook, online and in the Red Dot Design App. 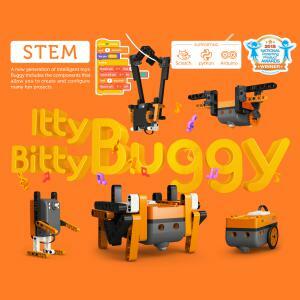 Itty Bitty Buggy has also been recognized with awards from KAPI (Kids at Play Interactive) for Best In Maker Spirit, NAPPA (National Parent Product Awards), Editor’s Choice – Maker Faire, SuNing Best Growth Award of the Year, and were named Amazon's #1 Hot New Release for Educational Toys in November and December, 2018.